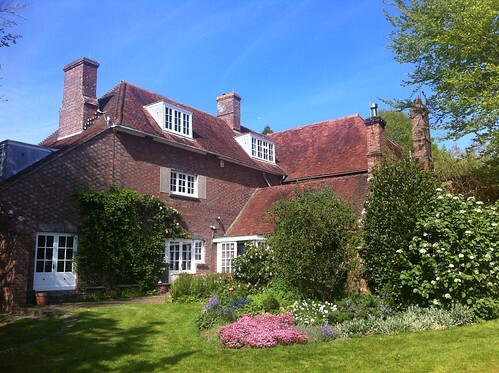 The Modernist movement (rebelling against Victorian era tradion) artists, writers, and designers of the early 20th Century have left a pretty legacy of art and architecture in Sussex and the South Downs National Park. the galleries in Ditchling (2km walk from Hassocks), Brighton, Eastbourne, Bexhill-on-Sea and Hastings can all be visited on same "London Victoria to Hastings via Haywards Heath and Eastbourne" ticket. You can break the journey, but you have to return by the same slightly circuatous route. 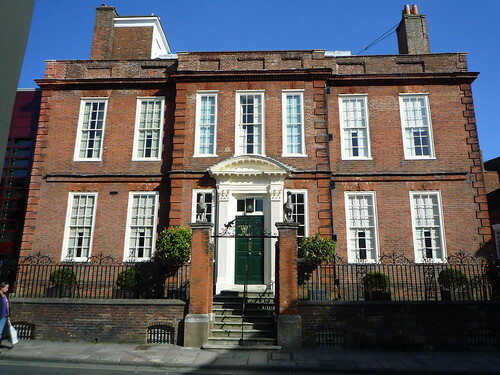 Art gallery in a Queen Anne town house (and a new extension) in Chichester historic centre. 20th Century British Art. Cafe. Nearby: pedestrianised historic centre and cathedral. Travel: Walkable from Chichester Station. Eclectic museum in a pretty village. Nearby: The village church, St Margaret of Antioch, is also worth a visit. Ditchling Beacon, on the South Downs Ridge, would make a great short walk. Travel: Walkable (30 mins) from Hassocks station (on the main rail line from Victoria). Large, eclectic town centre museum. Nearby: Next to the Brighton Pavilion, and near the Lanes (narrow streets with small, eclectic, independent shops). Travel: Brighton Station. Best parking is the Churchill Square Shopping Centre. 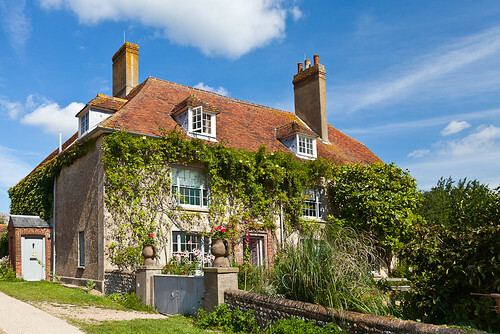 Farmhouse of the Charleston set with a cafe, and a small but very pretty garden, in a picturesque location at the foot of the Downs. Nearby: Firle Beacon, on the Downs ridge, would make a great short walk. Highly recommended is nearby Middle Farm (farm shop and petting zoo, on the A27) with hundreds of ciders to taste. Travel: Walkable from Berwick station (you'll need a OS map). The Penrose family farmhouse became a meeting place for some of the leading figures from the world of 20th century modern art. Now run by a trust. Guided tours on Summer Sundays only. Travel: Not easy to get to by public transport. 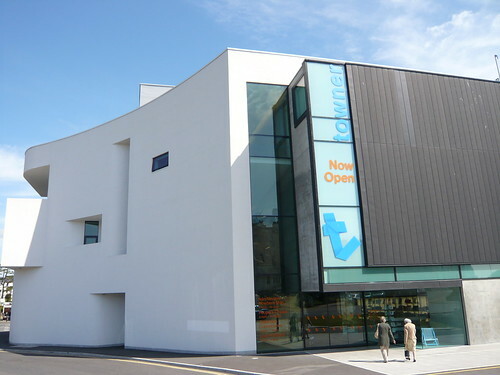 Town centre art gallery with an modern extension. Free. Closed Monday. Stunning art-deco seafront building. Cafe open during the day time only. Free entry to this amazing but under used building. Newish art gallery (£9, Art Fund £4.50, opens 11am). Has a cafe with a view, but for visitors only. Nearby: In a great location on Hasting's "working" beach, amongst the beach launched fishing boats, close to East Hill (Hasting Country Park, views, cliff walks), old town, seafront promenade and pier. Travel: Hastings station is a 10 min walk. A private college in a former stately home, with short courses and diplomas in conservation and the creative arts. The buildings are only open for special events. The restored gardens are open to the public daily.